Monday is always a day full of errands and homework for all of us. But, you need to stay strong. Perhaps, a cup of strong coffee will help. In case you need a tutor on any subject, you can find him on TutoZ.com. We provide detailed information about all tutors on our website, including tutor ratings based on feedback from the tutor’s current and former students. 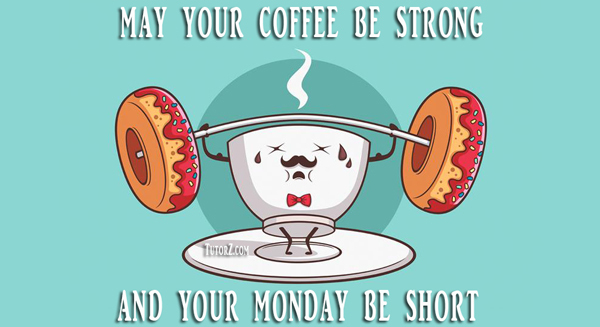 This entry was posted in Monday posts and tagged homework, Monday, stay strong, strong coffee, tutor.